101 California Ave., #705, Santa Monica. Ocean Avenue in Santa Monica has everything you could possibly need and more to live a fulfilling, carefree and successful existence. On one side of the avenue is a white sandy beach and ocean horizon, while on the other is a variety of good shopping, fine dining and laidback cafes. Ocean Avenue is right on the outskirts of LA, which means the commute to work is neither long nor stressful, especially when you take into consideration the views. 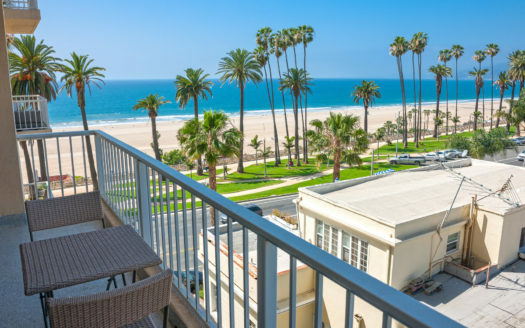 If this sounds like someplace you would like to call home, contact the best Santa Monica realtor regarding condos for sale Ocean Avenue. Our superior group of experts can guide you toward the best townhomes for sale for your goals and lifestyle. If you're interested in selling, we are equipped to prep your home for sale and find a buyer who sees the true value of your townhome. Whether you're interested in buying Brentwood condos for sale or wish to sell your Ocean Avenue real estate for top dollar, take advantage of the customer service, expertise and experience we offer at Maser Condo Sales. You can call us by phone at 310-853-5150 or contact us online today.